Sixteen-year-old Ava does not know who she is or where she belongs, but when she tries out a new personality--and sexual orientation--at a different school, her edgy girlfriend, potential boyfriend, and others are hurt by her lack of honesty. Insecure about the changes high school brings, Abby ignores advice from her parents and her only friend to "make an effort" and, instead, withdraws from everyone but with Luke, who she met online. Sixteen-year-old April, a high school junior, and her friend Vi, a senior, get a crash course in reality as the list of things they should not do becomes a list of things they did while living parent-free in Westport, Connecticut, for the semester. A group of teens in a Seattle-area rehabilitation center form an unlikely friendship as they begin to focus less on their own problems with drugs and alcohol by reaching out to help a new member, who seems to have even deeper issues to resolve. Spunky teen Madison, though technically dead, uses a stolen amulet to retain the illusion of a body and help her in the struggle between Light and Dark reapers. An era when all a man could count on was his horse and his six-gun, and Indians fought a losing battle with European settlers.Until somebody else entered the fight—an invader who saw all humans as slaves, and was determined to conquer our world. When a plane crash strands thirteen teen beauty contestants on a mysterious island, they struggle to survive, to get along with one another, to combat the island's other diabolical occupants, and to learn their dance numbers in case they are rescued in time for the competition. When her best friend falls victim to a vicious hate crime, sixteen-year-old Cat sets out to discover the culprits in her small North Carolina town. An insane priest is building himself an army of the undead, and there's only one man who can put them in their place: the man they call Goon. Kristina Georgia Snow is the perfect daughter, gifted high school junior, quiet, never any trouble. But on a trip to visit her absentee father, Kristina disappears and Bree takes her place. Bree is the exact opposite of Kristina. Through a boy, Bree meets the monster: crank. And what begins as a wild ecstatic ride turns into a struggle through hell for her mind, her soul, her life. Eighteen-year-old Lia comes to terms with her best friend's death from anorexia as she struggles with the same disorder. n early nineteenth-century England, a spirited young woman copes with the suit of a snobbish gentleman as well as the romantic entanglements of her four sisters. Includes explanatory notes throughout the text, an introduction discussing the author and the background of the story, and a study guide. A modern retelling of "Beauty and the Beast" from the point of view of the Beast, a vain Manhattan private school student who is turned into a monster and must find true love before he can return to his human form. The teenage surfer who lost her arm in a shark attack in 2003 describes how she has coped with this life-altering event with the help of her faith, the changes in her life, and her return to the sport she loves. Scott Pilgrim's life is fantastic. He's 23 years old, in a rock band, between jobs, and dating a cute high school girl. Everything's awesome until a seriously mind-blowing delivery girl named Ramona Flowers enters his life. Nick Hammond and Anastasia Collins are the Mystery Society. Stealthily avoiding the authorities, this skulduggery duo spend their time and money righting wrongs committed in the world's underbellies. When Jesse, Kimmie, and Cynthia found an old spellbook, they made themselves witches, and now that they are in high school they use their powers to avoid studying and to bully the other students. Depressed after the death of her stepfather, high school junior Zara goes to live with her grandmother in a small Maine town, where new friends tell Zara the strange man she keeps seeing may be a pixie king, and that only "were" creatures can stop him from taking souls. Once upon a time, I was a little girl who disappeared. Once upon a time, my name was not Alice. Once upon a time, I didn't know how lucky I was. When Alice was ten, Ray took her away from her family, her friends: her life. She learned to give up all power, to endure all pain. She waited for the nightmare to be over. Now Alice is fifteen and Ray still has her, but he speaks more and more of her death. He does not know it is what she longs for. She does not know he has something more terrifying than death in mind for her. This is Alice's story. It is one you have never heard, and one you will never, ever forget. In the wake of her cousin's suicide, overweight and introverted seventeen-year-old Miles experiences significant changes in her relationships with her mother and father, her best friend Jamal and his family, and her cousin's father, while gaining insights about herself, both positive and negative. The youngest of three siblings, fourteen-year-old Anke feels both relieved and neglected that her father abuses her brother and sister but ignores her, but when she catches him with one of her friends, she finally becomes angry enough to take action. When high school student Clay Jenkins receives a box in the mail containing thirteen cassette tapes recorded by his classmate Hannah, who committed suicide, he spends a bewildering and heartbreaking night crisscrossing their town, listening to Hannah's voice recounting the events leading up to her death. Most people think 15-year-old Charlie is a freak. The only friend he had killed himself, forcing him to face high school alone. But then seniors Patrick and his beautiful stepsister Sam take Charlie under their wings and introduce him to their eclectic, open-minded, hard-partying friends. It is from these older kids that Charlie learns to live and love, until a repressed secret from his past threatens to destroy his newfound happiness. It's just another night on the prowl for vampires for Kyrian of Thrace when he meets the most frightening thing imaginable. An accountant. But Amanda Deveraux is much more than she seems. Hunted by one of the deadliest of vampires, Amanda is the key to our survival. In the three years since her father caught her in the back seat of a car with an older boy, sixteen-year-old Deanna's life at home and school has been a nightmare, but while dreaming of escaping with her brother and his family, she discovers the power of forgiveness. When three angels are sent from heaven to protect the town of Venus Cove against the gathering forces of darkness, their mission is threatened as the youngest angel, Bethany, enrolls in high school and falls in love with another student. After being hit by a bus and killed, a high school homecoming queen gets stuck in the land of the living, with only a loser classmate--who happens to be able to see and hear ghosts--to help her. Since the car accident that claimed the lives of her family, sixteen-year-old Ever can see auras and hear people's thoughts, and she goes out of her way to hide from other people until she meets Damen, another psychic teenager who is hiding even more mysteries. Shakespeare's "Hamlet" is set in the modern world of computers, cell phones, and paparazzi, and on a popular television talk show it is revealed that Ophelia has not died. Keyhouse is an unlikely New England mansion, with fantastic doors that transform all who dare to walk through them.... and home to a hate-filled and relentless creature. Vampire AcademyFrostbiteShadow KissBlood PromiseSpirit BoundLast SacrificeCheck out the companion series: Bloodlines! For thirteen years, Vlad, aided by his aunt and best friend, has kept secret that he is half-vampire, but when his missing teacher is replaced by a sinister substitute, he learns that there is more to being a vampire, and to his parents' deaths, than he could have guessed. After being bitten by a vampire, not only is fifteen-year-old Doug doomed eternally to be fat, but now he must also save himself from the desperate host of a public-access-cable vampire-hunting television show that is on the verge of cancellation. 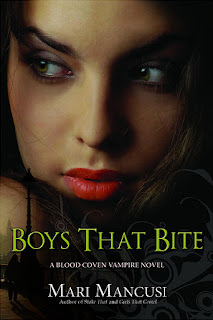 Bitten by a vampire after being mistaken for her Goth twin sister, Rayne, sixteen-year-old Sunny is in a race against time as she tries to prevent herself from becoming a vampire permanently. 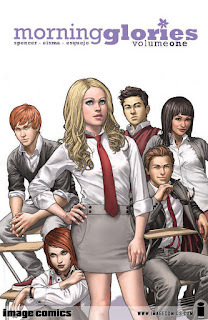 At an elite vampire prep school in Manhattan, sixteen-year-old vampire socialite Lilith seeks revenge against Cally, a new student and "New Blood" Lilith holds responsible for the death of her close friend during a dispute that attracted heavily-armed Van Helsings. Morning Glory Academy is one of the most prestigious prep schools in the country... but something sinister and deadly lurks behind its walls. When six gifted, but troubled, students arrive, they find themselves trapped and fighting for their lives as the secrets of the academy reveal themselves!